Custom Home Builder serving Downers Grove and surrounding communities in the western suburbs of Chicago since 2003. We work closely with our clients throughout the entire process, and strive to exceed expectations every step along the way. We take pride in our proven ability to deliver the highest level of quality, service and value on every project. New Custom Homes from $500,000 to $2.5 Million (design-build with us or using your existing plans). Whole Home Renovations $200,000 to $800,000. Finished Basements $50,000 to $150,000. Kitchen Remodels $50,000 to $150,000. Room Additions $50,000 to $250,000. Estimates based on experience. Your actual costs will vary depending on the scope of your project. As a full service custom home builder we will work with you throughout the entire process, beginning with initial site selection/acquisition through all phases including architectural design, permit applications, construction, final move in and subsequent follow-up to ensure your total satisfaction. The quality of our custom built homes are then backed by a full one year warranty after you move into your new home. Contact us for a consultation about your project. Cesario Builders is one of the premier custom building and design firms in the greater Chicagoland area, specializing in new home design and construction, home additions, renovations, and commercial building. Known for our quality and design excellence - along with our desire to always do the right thing - our goal is to provide a quality product with unmatched customer service, making all our clients feel truly special. Building your project within budget, custom-designed to your family’s needs, wants and lifestyle, is what we do best. 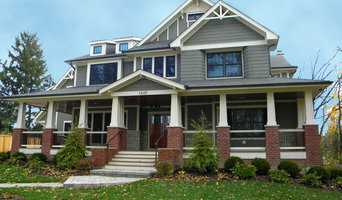 We are an award winning Design/Build remodeling company nestled in the western suburbs of Chicago. Chris Bakutis from Innovative Design Concepts Inc is a insured and bonded contractor specializing in custom homes, remodels and additions. IDCI’s customized residential design solutions fit any lifestyle. Whether planning a new home construction or remodeling a current home, Innovative Design Concepts, Inc. offers effective and efficient design solutions to maximize the full potential of each project. The ability to listen and understand our client’s needs and wants, and work with the challenges of their spaces is recognized in the finished product. Our consulting team has the experience and creativity to help our clients achieve their design goals. We believe collaboration and trust between the design team and the client is the key to beautifully transforming a space. Give us a call or message today to learn how we can partner with you on your next project! Ryder Homes is a design-build firm committed to creating distinctive projects for our clients. We will work with you as a collaborative partner, from design concept to finished space, to ensure that your project is a unique balance of budget, function, and style. Trim Tech Inc has been a one stop shop for custom woodworking in the southwest suburbs for over a decade. Due to the overwhelming demand for a turn key service we have grown to encompass an expert team of designers & craftsman. Our in-house designers can help you visualize your project before it is built. We provide space planning to ensure that all your spaces function just as you desire. Utilize our design library of quality preferred vendors to assist you in coordinating material selections for a turn key solution to your new custom home or remodeling project. Whether the projects are commercial, residential, or something completely unique, my practice focuses on the making of home and community – creating places that sanctify the rituals of life. It demonstrates the continuum of community – from individual to Family to Neighborhood to City. I perceive the construction of a project as a team effort with the owner, architect, and contractor working together towards a final product. This enables us to complete project on time and within budget. My services include sustainable design, planning, and full design and build services. At Oak Design & Construction, we transform old spaces into new ones that fit your lifestyle. We work with you to create a customized space for today and tomorrow. Based in Oak Park, Illinois, Oak Design & Construction is a residential remodeling firm serving Chicago and its western suburbs. 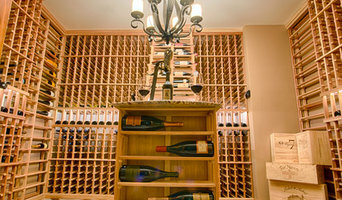 We make home remodeling easier by handling every aspect of the project. Committed to our clients, we utilize our experience and ability to think outside the box to transform homes into special places. Bart Industries Inc. is a second generation of family builders providing the most custom and luxury home in Villages of Burr Ridge, Hinsdale, Oak Brook, Glenveiw, Park Ridge, Willowbrook, Lake Forest, Northbrook, & Winnetka With the new generation we have expanded the business to an industry providing greater needs in the residential aspect of construction. The goal of our company is to exceed expectations of our clients to provide the best quality craftsmanship and materials to fulfill client’s satisfaction. With over 25 years in business we could insure that Bart Industries will demonstrates a passionate pursuit of detail-rich, value-driven design and efficient construction that provides a planned and executed living environment.